My full review is on Goodreads! This is the sort of thing that makes me want to read more Middle Grade. And oh, this was an adventure. 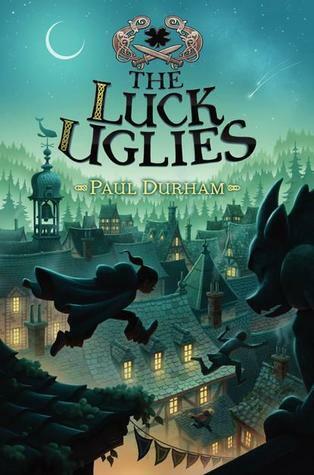 The Luck Uglies is a charming and atmospheric MG fantasy. And that’s where it shines–despite being based on some common fantasy premises (like capricious, ignorant medieval lords and rouges with hearts of gold), the world is delightful, the atmosphere is great, and the characters are universally charming. And, yes, it was a welcome break from all the YA I’ve been reading, as–in true MG fashion–there’s no romance at all. It’s all about the heroine discovering the truth about her family. Otherwise, it’s all childhood friends and wild adventure. There were a few rough bits, sure. Those are in my Goodreads review. But it was still one of the most enjoyable books I’ve read this year. I read this not too long ago. It’s not a bad read! Seriously! I thought it was a thoroughly adorable adventure.